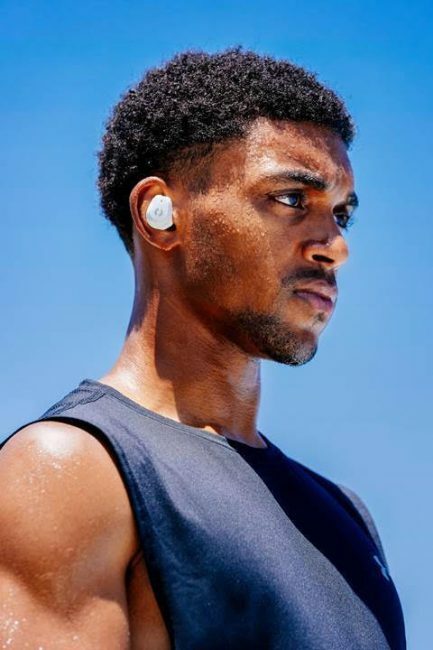 I am completely sold on the idea of truly wireless earphones. While the selection is growing, finding quality is often difficult. 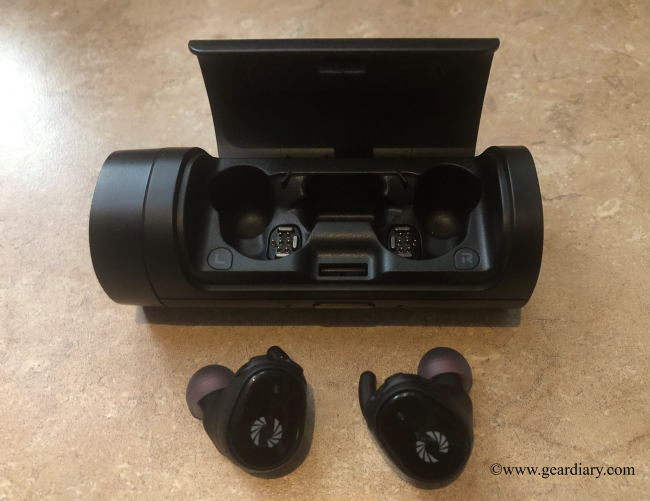 Phiaton Corporation today announced the BOLT BT 700 wireless earphones featuring armature drivers and a portable charging case that doubles as a wireless speaker on Kickstarter ($79/$139). I was lucky enough to get an early sample so let’s take a look. The BOLT’s custom-made drivers deliver high-resolution audio with detailed sound. The supplied charging case not only protects the earphones but also charge them as well as doubles as a wireless speaker. The case will fully charge the earphones up to three times bringing a total of 20 hours of play time. The case quick charges the BOLTS and a quick 10-minute charge will bring an hour of listening time. 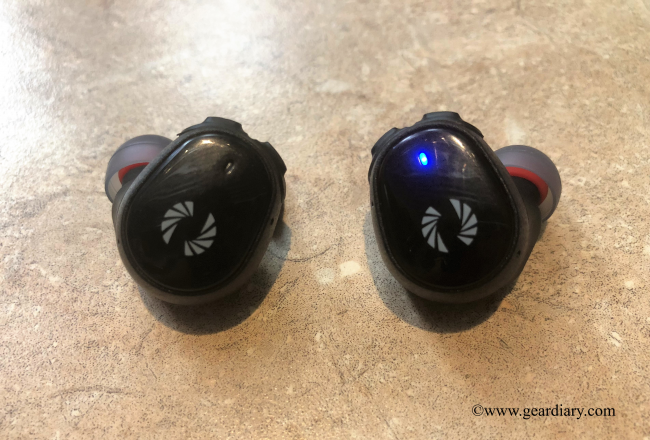 Both buttons and touch controls control the earphones and allow access to Siri and Google Assistant. The charging case is designed like a small tube with a flat bottom and measures 3.75″ x 1.5″. The case is by no means tiny, but I have no problem carrying it in my pocket and have used it while on the go several times comfortably. One end of the case houses the micro-USB charging port and battery level. Pressing the button lights up the case’s charge level through four blue lights. On the front, either a red or green light will indicate if the earphones are charging or fully charged. Also on the front is a button that opens the latch that protects the earphones while being charged or stored. The other end of the case is the wireless speaker. Another product I own that has a charging case has one major flaw, the earphones can move while being carried and quit charging. The BOLT does not have this issue. When the earphones are seated correctly, a magnet holds them into place and they do not move. 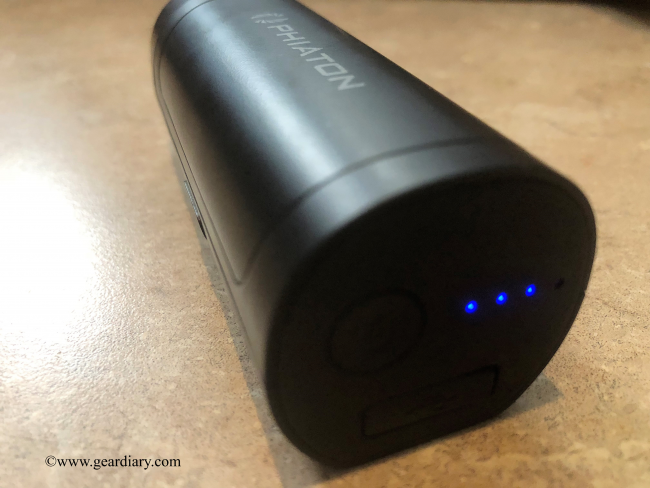 This is a big feature to me since I am able to carry the case in my pocket with the guarantee they will be charged when ready to use. The wireless speaker easily connects if the headphones are synced and seated in the charger. While the case speaker does not bring high def sound, it is surprisingly usable. The volume is perfect if you want to just listen to audio while on a desk or sitting somewhere nearby. I would say the audio quality is similar to other tiny speakers. I have found myself using the speaker while sitting in the coaches’ office before games and practices. Perfect for times when you want more volume than your phone but not worried about fancy quality. Very unique feature for a charging case. Controlling the earphones utilizes both a button rocker on top as well as a touch interface. The controls are intuitive and have worked every time. The included instructions explain all of the control features and are easy to remember. Now for the most important feature of any earphone…the sound. The sound quality of the BOLT BT 700 is super crisp. I always listen to a variety of music genres as well as podcasts to judge sound quality. Phiaton describes the sound as detailed and I would agree with that. While there is not a huge amount of bass, there is enough to enrich the audio. All other frequencies are well-balanced and clear. As I type this, I am listening to Turnpike Troubadours and you can hear each instrument and hear the music as intended by the musicians. Volume is nice and will not go high enough to hurt your ears. The BOLT BT 700 includes dual mics for crystal clear call quality and my wife could not tell I was talking on headphones. If you want to hear your surroundings, there is also audio transparency available. This feature works well even though I never use it. If I am listening to audio, I want to be all in. 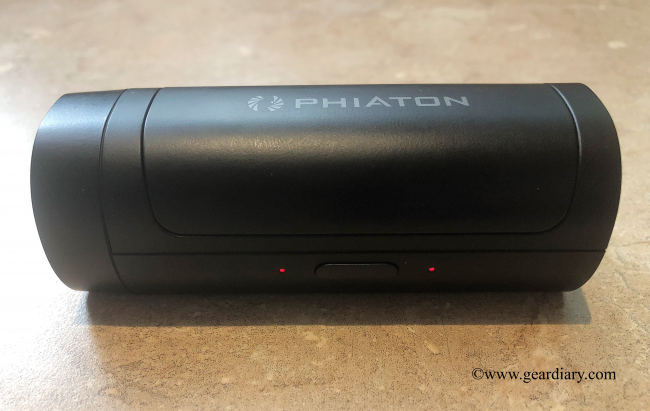 Phiaton has done a great job of designing a fantastic product that is packed full of features and executes them all well. The earphones are rugged and high quality, the case is used to charge, protect, and even play audio. 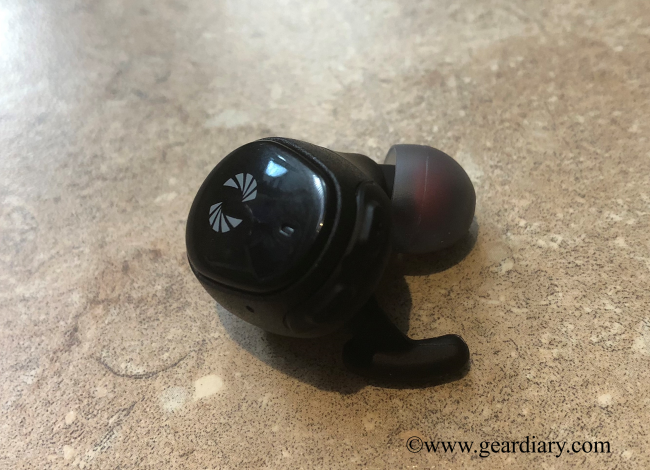 I love the fit and comfort of the earphones, and I love how they always stay locked in while charging. The detailed sound is fantastic no matter the genre, and phone calls are clear and easy to make. The BOLT BT 700 are available on Kickstarter and are expected to ship to backers by the end of the year. 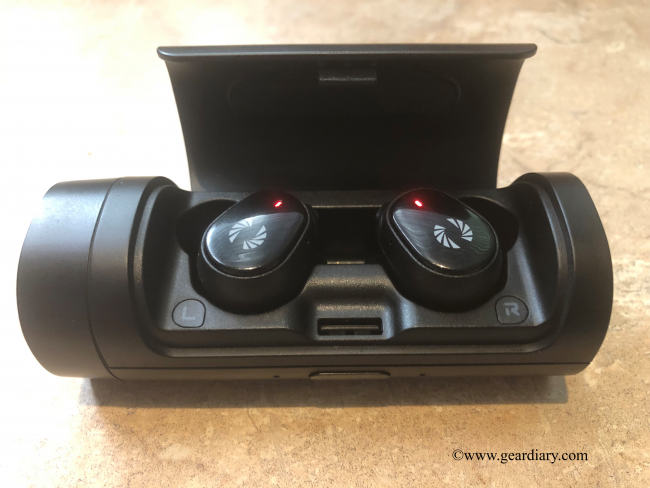 If you are in the market for a well designed wireless earphone solution with a ton of features, I highly recommend this product.